The overall hike is a 5-mile loop trail, taking you through a diversity of landscapes and overlooks. We started off on the Arethusa Falls trail and took Frankenstein Cliff on our descent down. 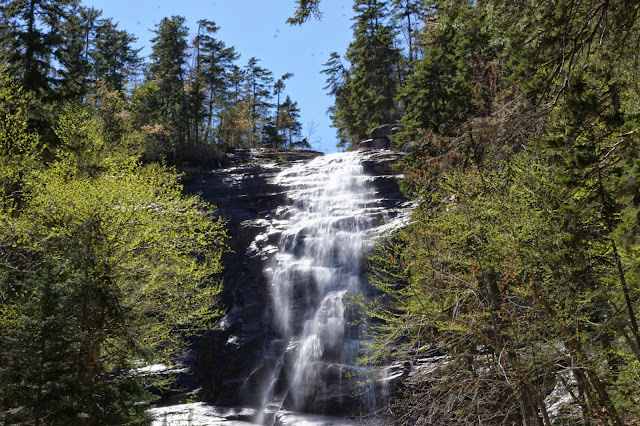 The Arethusa Falls trail is the easier of the two. It is about a 1.5 mile hike to the falls on a well-worn path by hikers and is very simple to navigate. Once you reach the falls, you will want to stop there for lunch and take plenty of photos. It is absolutely beautiful! There are tons of large rocks to set up your picnic/resting spot. You can even climb up areas of the waterfall to get better views. Visitors do this hike year-round, yet we suggest coming here during the late Spring or Summer. One of the best and unique features of a waterfall hike compared to a typical mountain trail, is the ability to actually experience and enjoy the waterfall landscape. In our opinion, this is appreciated more so in warmer weather. Although, Arethusa also tends to be a popular location for ice climbing in the Winter. The descent down Frankenstein Cliff is a bit more challenging compared to Arethusa Falls, with it being the longer half of the loop trail. And as to be expected by the name, certain narrower sections of the hike overlook a decently elevated cliff drop. Since majority of the hike is through the woodlands, fallen leaves and loose dirt can make footing a bit tricky. Therefore, we would not recommend doing the hike with either potential rain in the forecast or from the night before. Since you are hiking through the trees for most of the trail, you build up even more anticipation before reaching the flat rock peaks. When you get to the main vista, the views of Sacco and the rolling mountain valleys are amazing, making the climb completely worth it! We would rate this hike as moderate, mainly due to a few strenuous sections on the climb down Frankenstein Cliff. 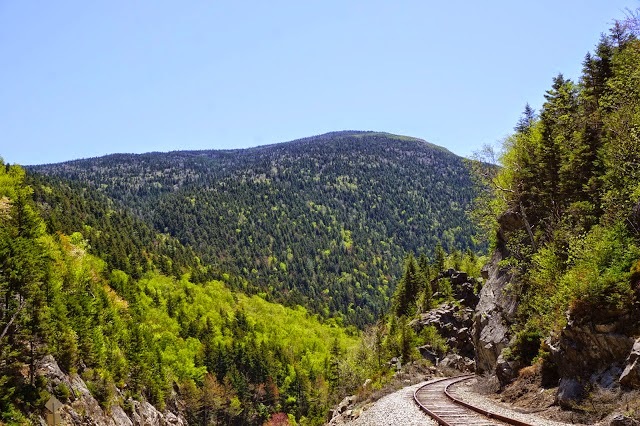 Overall, the hike is a rewarding challenge and a great reason to get outdoors and experience the beautiful nature of the White Mountains.